I was always excited by Blogger meetups happening in Bangalore. Even though I have been blogging for years, I did not have any chance to attend meetups until a notification in email popped up. I was invited for a Meetup arranged by one of the finest resort. 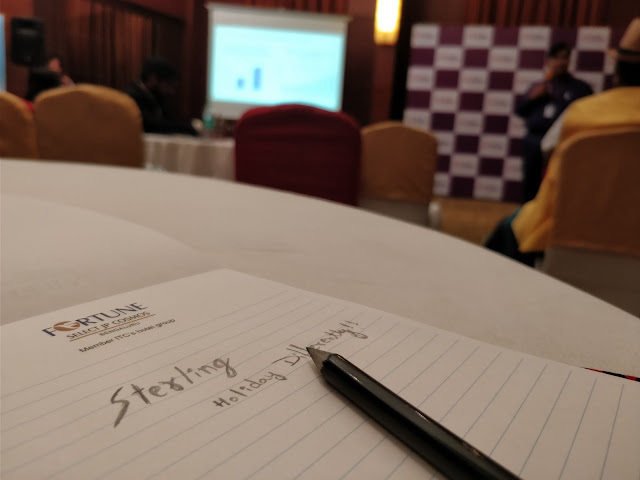 I was fortunate enough to be a part of bloggers meet hosted by Sterling Holidays by Thrillophilia. The meetup was held at Fortune Select JP Cosmos located in Cunningham road. The event started with a short introduction of the bloggers followed by a fun-filled icebreaker game. About the speaker: CMO of Sterling Holidays Mr Peshwa Acharya is an alumnus of IIM Calcutta & IIT Kharagpur. He has worked for 25 years across multiple domains across Indian Subcontinent, Asia, and Africa. Often referred as "Marketing Maestro", Mr Peshwa brings deep Consumer Marketing expertise and P & L leadership experience. He has been working with Sterling for the past two and half years and shared few of his own travel stories which changed my perception towards travelling. Mr. Peshwa Acharya giving presentation on how to sterling is helping tourists holiday differently! Mr Peshwa gave an impressive presentation on how Sterling is redefining the holidays in India. Following are the highlights of the event. 1. 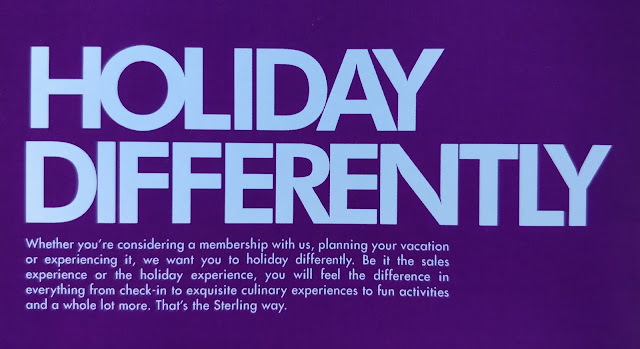 New brand identity from Sterling Holiday to Sterling Holiday differently. 2. The revamped eye-catchy logo which is more energetic, vibrant, delightful and contemporary. * Each strand of the beads representing bursts of adrenaline that make up the highs of life * The strand spilling like a paper wheel symbolizing three pillars: People, Experience, and places * Vibrant symbol full of energy symbolizing Joy. The eye-catchy logo which is more energetic, vibrant, delightful and contemporary. 3. Transforming the meaning of the holiday in India to give travellers one of its kind experience. 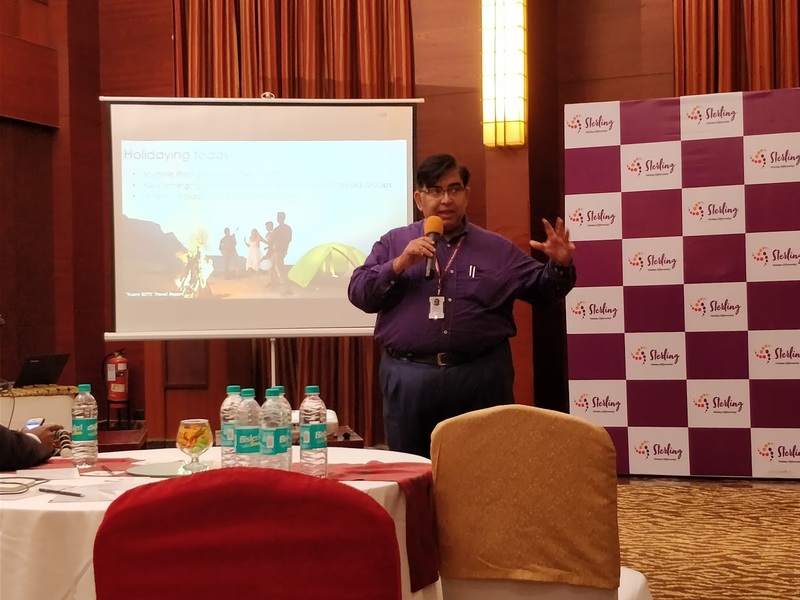 The presentation also included few inspiring videos which pumped up adrenaline to travel and heed the world as no one has seen before. 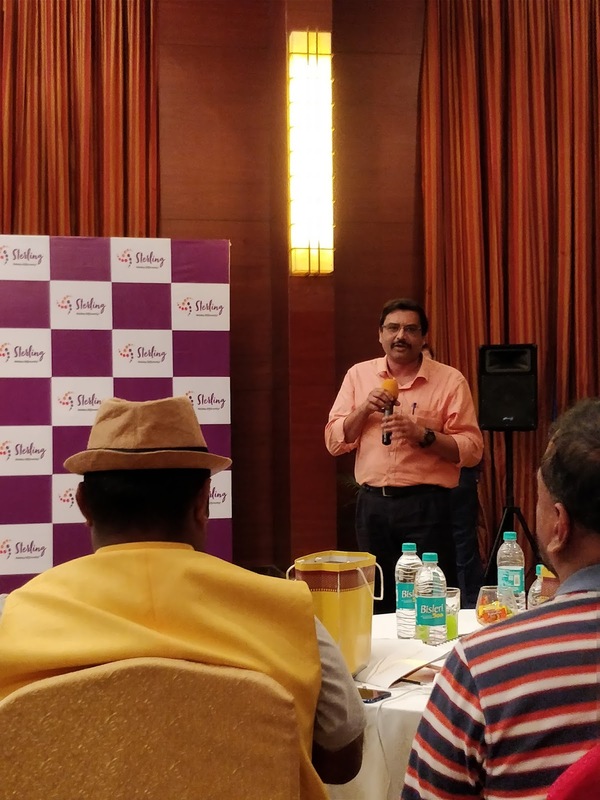 Anand Ramachandran who has recently joined as COO of Sterling Holidays shared his experience when he visited Puri Sterling Holidays. Being a religious place tourists usually take a temple tour, click photographs and head back justifying the visit. However, with Sterling Anand discovered a village called Raghurajpur, where every family is from art passion. At Jagannath temple, the importance of the temple flag which has to be changed every day come what may or else the temple will be shut for 8 years. No birds fly over the flag, not even the aircrafts as there is belief whoever flies upon the flag would crash. Any foodie will be impressed by Chappan bhog - 56 dishes prepared at the temple every day, which is satvik and sumptuous. He shared many such experiences which he would not have discovered if it was not with Sterling. Mr. Anand Ramachandran sharing his first time experience with Sterling at Puri. Lakshmi Sharath, A blogger since years and talented personality worked with the Sterling. 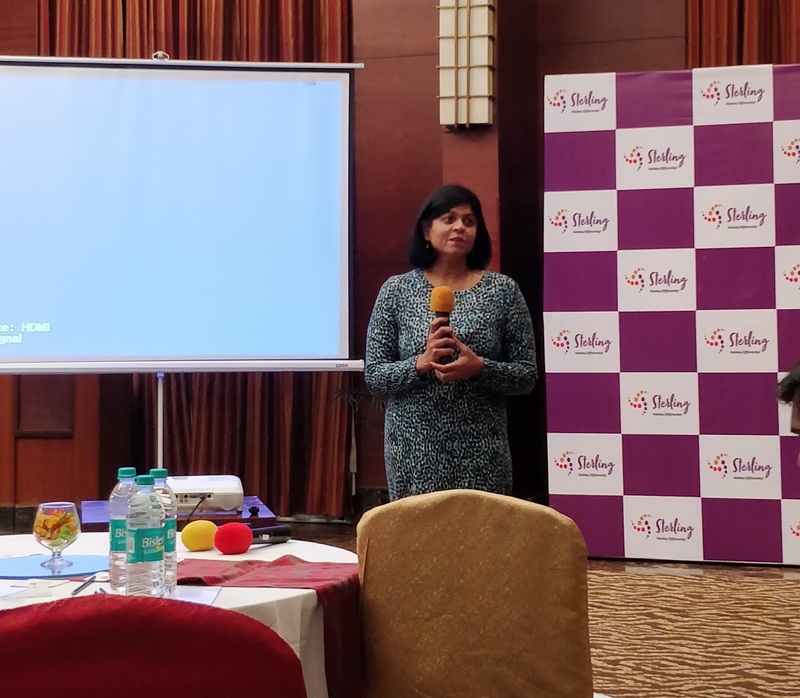 She shared stories where she discovered bamboo trail on the way to Yercaud and how an assignment project for Lonavala turned into a lifetime memory. She referred the people Sterling resorts who were working for more than a decade seemed like a treasure of information, who would redirect her to experience amazing experiences in various destinations. Lakshmi Sharath sharing her experiences during her assignment projects. After the event, we had another icebreaker event followed by tasty dinner. I got an opportunity to meet many bloggers during this time. The experience was memorable and it was great to connect with people of similar interests. I met Mr Peshva in person and exchanged few conversations regarding holidays and experiences and he did inspire me on how holidays are magical. It was a great time spent with great travel inspirations across Bangalore. Conclusion : It was a great time spent with great travel addicts across Bangalore. 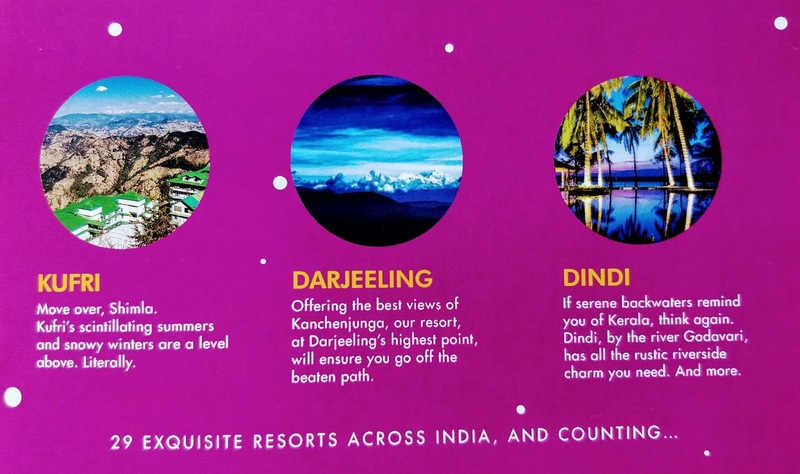 I fell in love with sterling for redefining the way Indian travellers see the holiday. Thank you, Sterling, for this opportunity and Thrillophilia for organising and inviting to the event.